The small Dutch island of Sint Eustatius is tucked away in the northern Leeward Islands region of the Caribbean. Once nicknamed the Golden Rock, because of its geographical location, extensive trading and immense wealth, Statia (as it is locally known/referred) has a rich, colorful history that is flavored with French, Dutch, and English influences. During the sixteen hundreds, the Dutch introduced pentagon-shaped blue beads, made from glass in Amsterdam, as a form of payment to slaves. Island legend establishes that once emancipation occurred, former slaves tossed the beads off the edges of cliffs into the wide Caribbean Sea. Since then, the blue bead has become a staple on the island and an important aspect of Statia’s culture. Though often reproduced and sold at gift shops, authentic, pentagonal, dark blue beads are sometimes found peeking through the sand on local beaches. However, they are mainly found when a storm ruffles the sand at the local dive spot – The Blue Bead Hole. 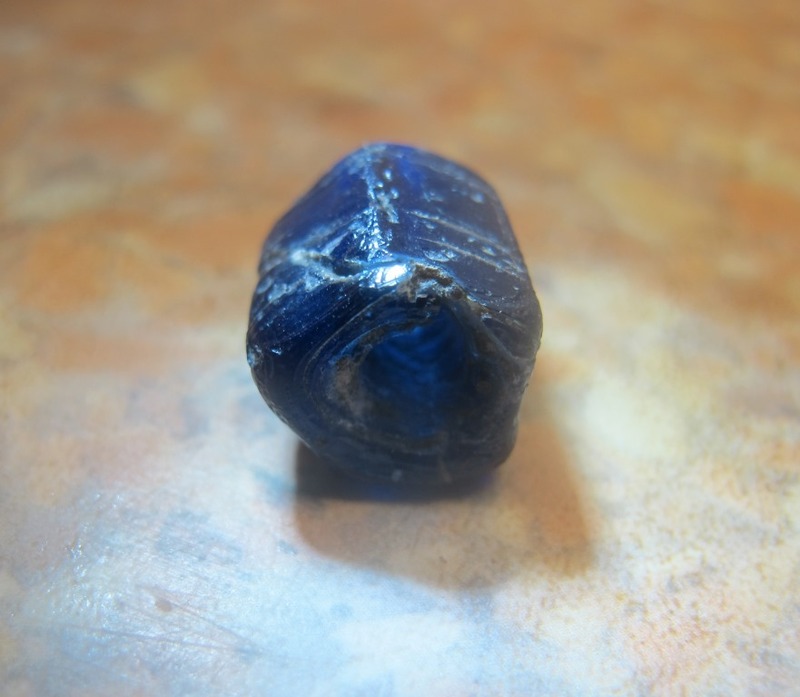 According to legend, the blue bead finds you, and is a symbol that you’ll always return to Statia.